Fiery Leo’s bright light may overwhelm his watery, Pisces partner. 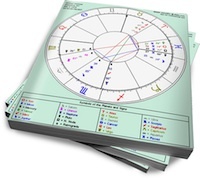 Both of these signs love romance, but Sun in Leo likes tons of glitz, while Moon in Pisces needs a more subtle approach. Sun in Leo is King of the Dramatic Declaration. His partner will never wonder how he feels, because he’ll wow her with expensive gifts, bold statements and sweeping romantic gestures. Although his love is genuine — he won’t put this much effort into impressing someone he doesn’t care about — the drama is designed to reflect on him. If Sun in Leo is in love, he wants the entire world to know about it. And to marvel at what a fabulous catch he is. Moon in Pisces needs a gentle touch. This is the most sensitive of all the sign/planet combinations, with an almost painful degree of intuition. Moon in Pisces is so sensitive that she sometimes needs to retreat to her private dreamworld (in order to survive). But she’s also a diehard romantic, and needs a partner who weaves some delicate magic and escapism into their relationship. Flowers, an unusual piece of jewelry, or a private getaway for the two of them will do the trick. Sun in Leo may attempt to sweep Pisces off her feet, but she’ll be overwhelmed by his flashy gestures. She may withdraw in shock, and Leo will feel frustrated and invalidated. He’ll be so focused on how she’s not appreciating him, that he’ll overlook any subtle hints she drops about her feelings. Moon in Pisces will have no problem intuiting that Leo needs adoration, but she may lose sight of her own needs (and risk being sucked dry by him) because she’s not great at setting boundaries. However, if Leo can tone it down a bit, and Pisces can recognize when to say “No,” they might be able to form an unusually romantic relationship.